It was an hectic day yesterday, but filled with much fun n’ frolic as we celebrated my hubby’s birthday. 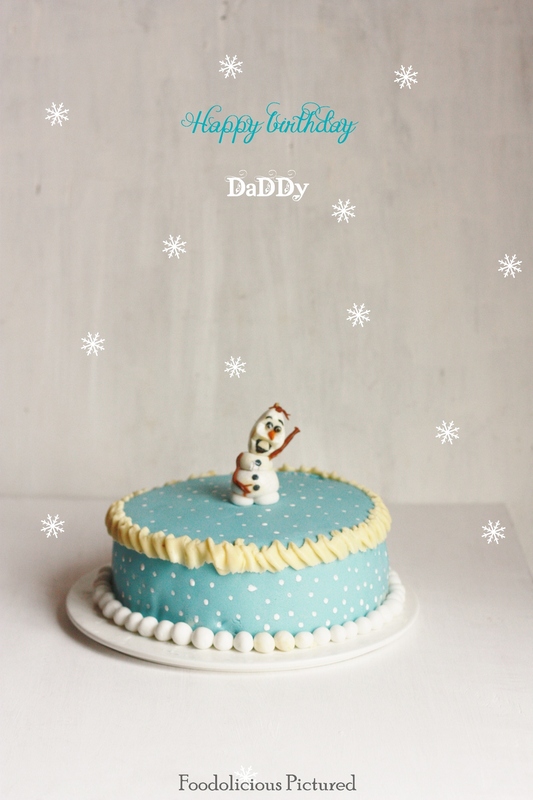 The little one and I had baked a cake; she wanted an Olaf cake for her daddy’s birthday and we had so much of fun doing the figurine, and decorating the cake. Being my daughter, it wasn’t easy working with her ah! Too many oops moments, but quality family time nevertheless! And to the recipe, garlic is one of my favorite veggie for its flavor and the strong flavor it provides, especially to meat recipes. 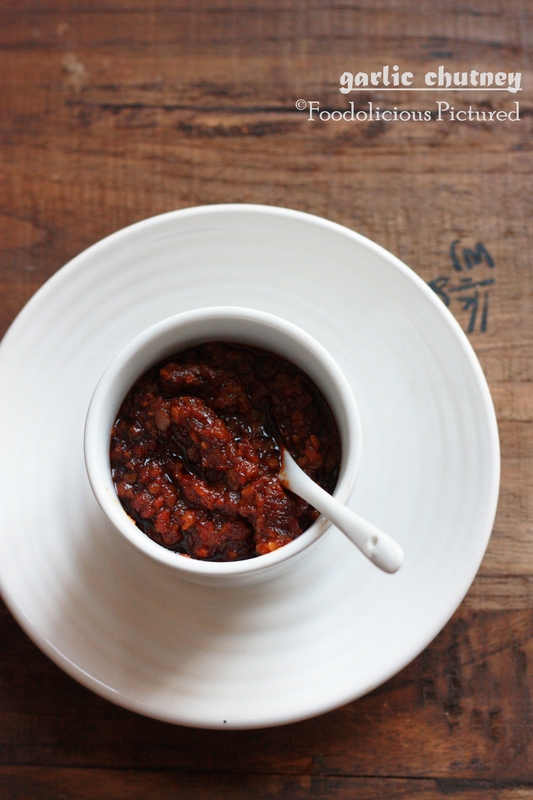 My mom’s garlic & tomato chutney remains as a favorite of mine, and this chutney is an inspired version with a bit of personal touch from my end. I used my chopper to chop the garlic (a lazy bone that I am, always finding an easy way out), and when you saute the garlic, keep an eye so that you don’t burn them and keep the heat on medium. 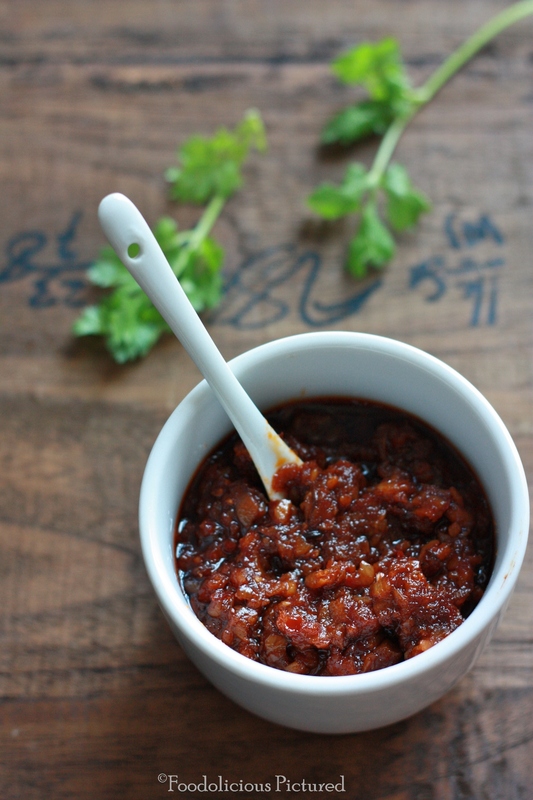 I have used smoked paprika for that hint of smoked flavor and it lends a nice deep color to the chutney. But if you don’t have paprika, substitute with Kashmiri chili powder. Do adjust the heat by adding more/less chili powder and dried chilies to suit your palate. So is the case with sugar. How to – In a blender, place the dried chilies, chili powder, paprika, coriander leaves and blend into a fine paste adding water as required and set aside. Heat oil in a heavy bottom pan. add the cumin seeds and allow to crackle. Add the chopped garlic and saute till the garlic is golden brown but make sure you don’t burn them. Add the chili paste, vinegar, salt and continue to cook till the raw smell is gone. Now add the ketchup and cook over low heat for another 10-12 minutes and the oil starts to separate. Add the sugar and check for seasoning. Stir well and turn the heat off and allow to cool completely. 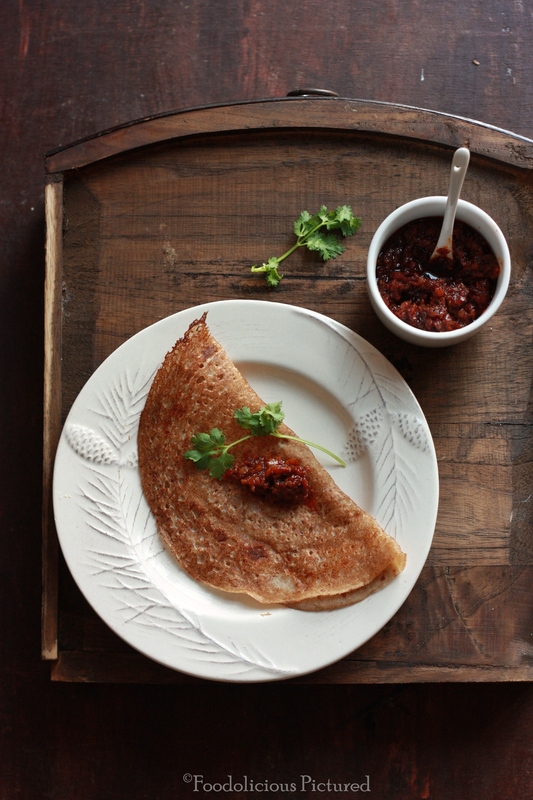 They pair perfect with roti, dosa or with rice n curry. Once cooled store in airtight clean jar and refrigerate. The chutney looks lip smacking!! I can almost taste and smell the flavors packed into it. Hi can I know where you get Ur background boards… Do You get these in Singapore . chutney looks amazing.. love that color.. Where do u get that old chest draw? Love the color and texture of the chutney. That chutney would go awesome with some rice… love the color….